Oh, yeah! The Russians attacked our electoral system! What has seemingly been lost in all the hubbub over special counsel Robert Mueller’s findings that Donald Trump did not “collude” with Russians is this important morsel . . .
Mueller has joined other U.S. intelligence officials in affirming that the Russian government did attack our electoral system in 2016. Yep, they did it. Mueller, a former FBI director and a prosecutor with decades of experience looking at national security matters, determined that the Russians orchestrated a campaign to disrupt our electoral process. They used social media hacking and disinformation to roil the U.S. political tides in Trump’s favor. They didn’t want Hillary Rodham Clinton to win the 2016 presidential election and they did what they could to prevent it from happening. I won’t yet suggest that their efforts were determinative, but they damn sure intended for them to sway the result. Attorney General William Barr’s summary of Mueller’s report devotes a significant section to “Russian Interference in the 2016 Presidential Election.” Barr outlines the two major efforts that sought to sow discord in the United States. Mueller, though, “did not establish that members of the Trump Campaign conspired or coordinated with the Russian government in its election interference activities,” according to the attorney general. So, with that comes another question: Will the president of the United States now offer a full-throated condemnation of Russian leadership, including his pal Vladimir Putin, and warn them about future serious sanctions this nation will take if they continue to embark on these missions of mischief? If you want an example of threats to our national security, Robert Mueller has peeled more layers off an effort that occurred right under our noses. If only the major beneficiary of that scandalous behavior, Donald Trump, would admit what the rest of the world knows. 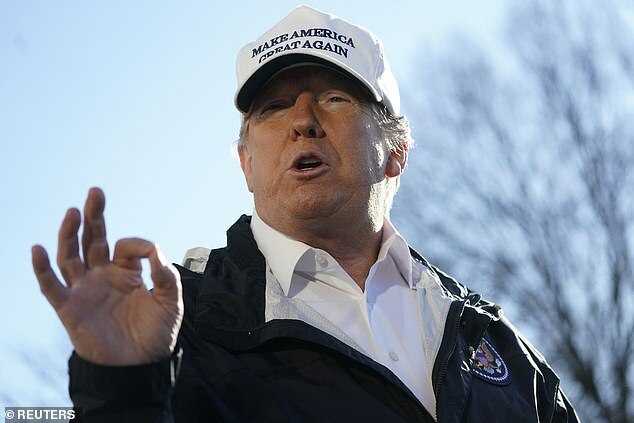 Donald Trump accused former Vice President of being a “low-IQ individual” because of a slip-of-tongue moment in Delaware. Biden seemed to reveal that he’s decided to run for president next year, then he backed away from his (mis)statement. That prompted the president to suggest that Biden isn’t very bright because he, um, misspoke. I can’t stop giggling over that one. 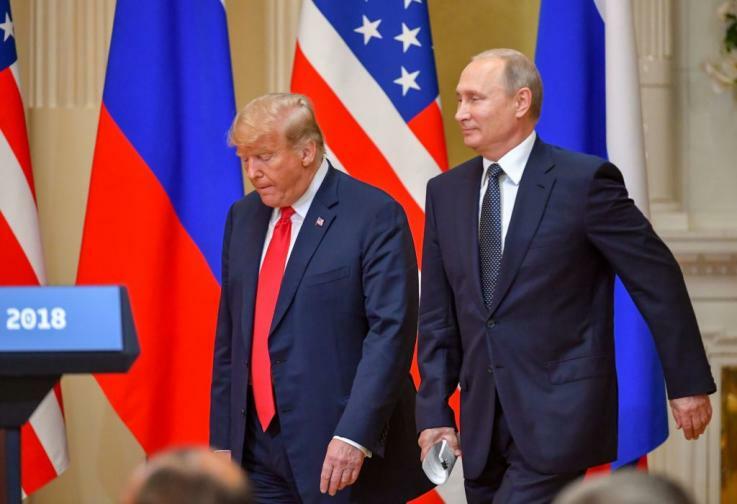 Donald Trump stood next Vladimir Putin in Helsinki this past year and said he didn’t see any reason why the Russians “would” attack our electoral system in 2016. Oops! It took him a day or two, but then he said he meant to say that he didn’t see why they “wouldn’t” interfere as they did in our presidential election. He recently referred to Apple Inc. CEO Tim Cook as “Tim Apple.” He was heard saying it. Then he backtracked. Trump said he inserted “Cook” quietly before saying “Apple.” OK. Except no one heard him say it. Low IQ? Is that how one could describe the president because of his own frequently clumsy use of language? How in the world can POTUS ‘like’ a murderous tyrant? Donald Trump’s best friends among the ranks of world leaders seem to have something in common. They’re tyrants, strongmen, autocrats, dictators . . . any and/or all of the above. His latest demonstration of such were his statements about how much he likes North Korean tyrant Kim Jong Un. It begs the critical question: How is it that the president of the United States of America “like” someone such as Kim Jong Un. For the record, Kim Jong Un is starving his people while he lives in relative opulence; Kim has murdered members of his own family because they disagree with his policies; he terrorizes his subjects mercilessly; he threatens South Korea with nuclear annihilation. Then he lied about not knowing about the imprisonment of an American college student, Otto Warmbier, who then was relegated to a vegetative state and released; Warmbier died as a result of his captivity. Trump said he believes Kim’s denial that he was aware of Warmbier’s mistreatment. He groveled at Russian strongman Vladimir Putin, who denied attacking our electoral system in 2016. Trump swallowed Putin’s denial over the assessment of the nation’s intelligence community that determined the Russians did attack us in 2016. When a U.S. resident journalist was killed in Turkey by Saudi agents, Trump accepted the denial that Saudi prince Mohammad bin Salman ordered the killing of Jamal Khashoggi. Trump’s latest display of infatuation with a tyrant — Kim Jong Un — reveals a dangerous trend. The president of the United States — who occupies the most powerful office on Earth — acts with astonishing weakness when he takes the word of a killer. It’s time to admit I was wrong about something back in 2012. 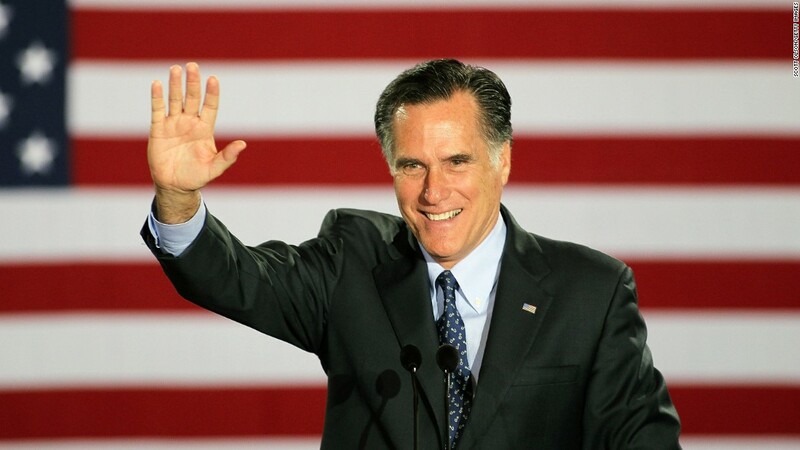 I was among the Americans who scoffed at Sen. Romney’s assertion. I supported President Obama’s re-election and the president was seeking to make the case that Russia didn’t pose the threat that Romney said it did. Obama was wrong. So was I. However, I take little comfort in knowing that millions of other Americans also were wrong. We now are learning the hard truth about what Romney said in 2012. Russia has cemented its role as the nation’s premier threat. Yes, we also have international terror organizations that pose serious and dire danger to this country. 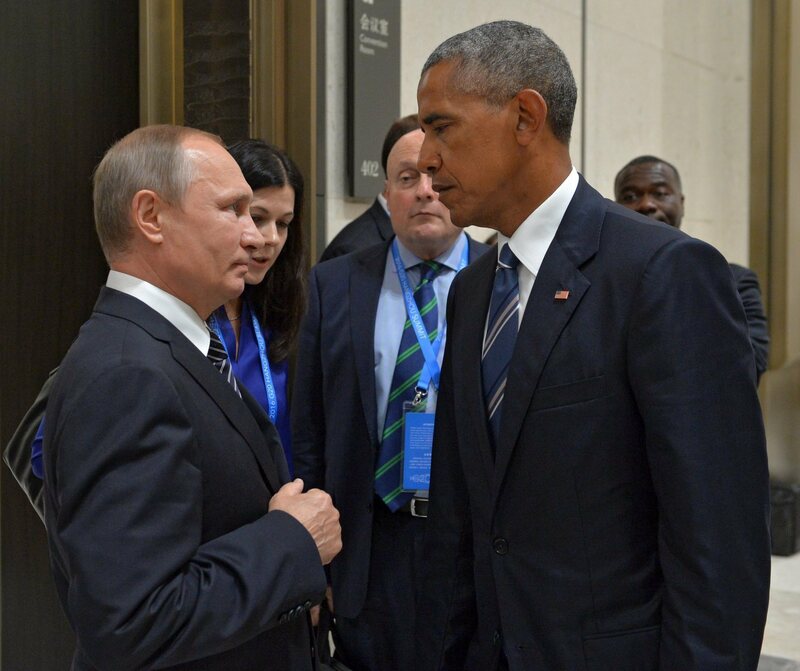 President Obama sought to tell Sen. Romney in 2012 during a presidential campaign debate that the “cold war has been over for 20 years.” While that is true, the Russia that emerged from the ashes of the Soviet Union has threatened the integrity of our electoral system. The current president of the United States, Donald Trump, doesn’t act as if he believes it. He gives Russian strongman/tyrant Vladimir Putin a pass on Russia’s 2016 electoral assault. He denigrates our nation’s intelligence network in the process. None of us who criticized Mitt Romney in 2012 should be as blasé as Trump is about Russia. I am concerned about what Russia is capable of doing. Does Russia pose a direct military threat to this country? I do not believe that is the case, although they do possess a substantial nuclear arsenal developed by the USSR. Russia, though, is a third- or perhaps fourth-rate economic power. However, the Russians are capable of inflicting significant damage via their cyber capabilities. They have done so already. They will do so again. Thus, they pose the most serious threat to this nation. I wanted to watch the “60 Minutes” interview with former acting FBI director Andrew McCabe partly because the teasers preceding it made it almost an irresistible bit of broadcast journalism. The interview didn’t disappoint me. Of all the assertions McCabe made during his interview with CBS correspondent Scott Pelley, the one that got my attention referred to a conversation McCabe had with Donald Trump regarding North Korea’s nuclear ambition. 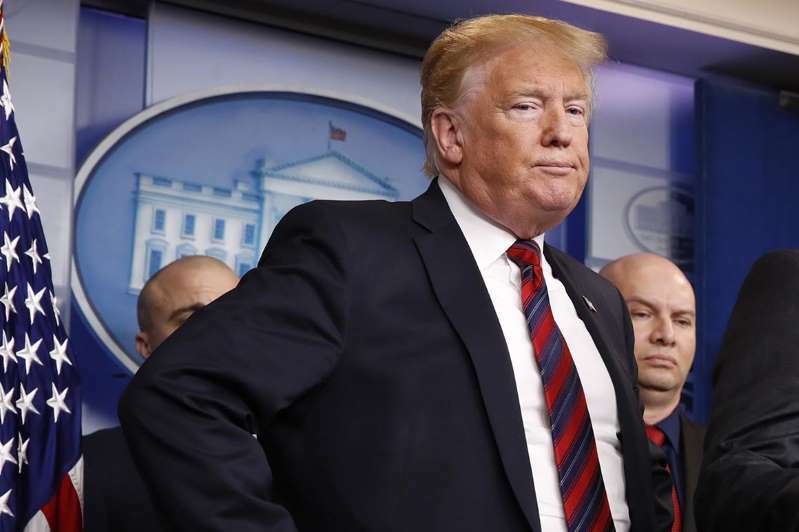 Trump said he had received assurances from Russian strongman Vladimir Putin that the North Koreans were not developing first-strike nuclear capability. McCabe said he told the president that the U.S. intelligence analysis said precisely the opposite. Let me stipulate that I am not going to jump on the treason/traitor haywagon that’s been seen circling around the White House. Some national security gurus and honchos are suggesting some serious crimes have been committed by the president. I’ll stick with what we’ve all witnessed in real time. Such as that Helsinki joint appearance with Trump and Putin in which the president bought into Putin’s denial about Russian interference in our 2016 election while disparaging U.S. intelligence analysis that said — yep! — the Russians did it. McCabe’s statement to Pelley only confirms what we have seen and heard. What we don’t yet know is why in the world the president of the United States would believe the assertions of a killer over the very men and women who work to protect us from people like Putin. If the North Korean dictator/killer Kim Jong Un is the “smart cookie” that Donald Trump has called him, then he must be scratching his noggin about this “bromance” that is developing between him and the president of the United States. The two men are meeting Feb. 27-28 in Hanoi, Vietnam for their second summit. The irony of the summit location surely isn’t lost on Trump critics who are fond of bringing up the alleged “bone spurs” that purportedly kept the future president out of the military during the Vietnam War. But . . . I digress. The point here is that Trump keeps tossing love at a dictator who has allowed mass starvation of his people, had members of his family killed because of policy disputes, has threatened to invade South Korea, has detonated nuclear bombs, has threatened to launch missiles at the United States. Trump used to refer to Kim as “Little Rocket Man” and once threatened him with “fire and fury” if he keeps threatening the United States. Good grief! Talk about running hot and cold! 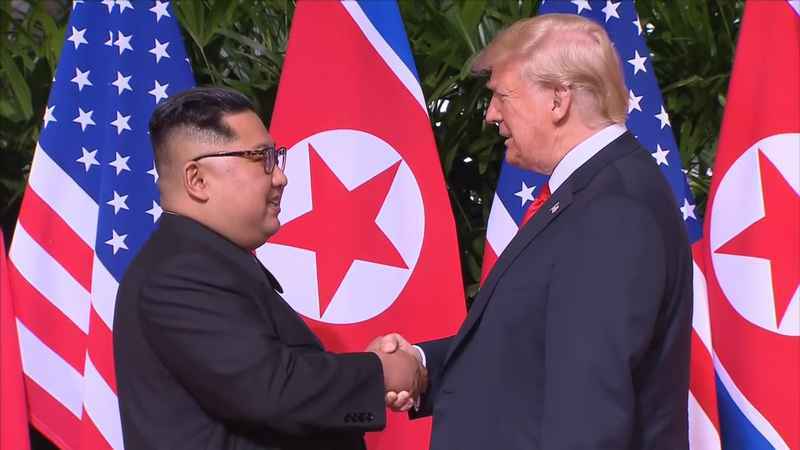 The summit is going to take place just as the president is disputing the assessment of his high-level intelligence chiefs who say that North Korea is still pursuing development of nuclear weapons, despite Kim’s reported pledge to dismantle his nuclear program. CIA operatives report that the North Koreans continue to work toward adding to their small, but relatively potent nuclear arsenal. What in the world is the president going to tell Kim when the two men get together in Vietnam? Is he going to scold him? Will he challenge him to demonstrate his stated commitment to end the nuclear development effort? Or will the two men come out of their meeting and pledge their “love” for each other? If only we Americans could make that same boast. 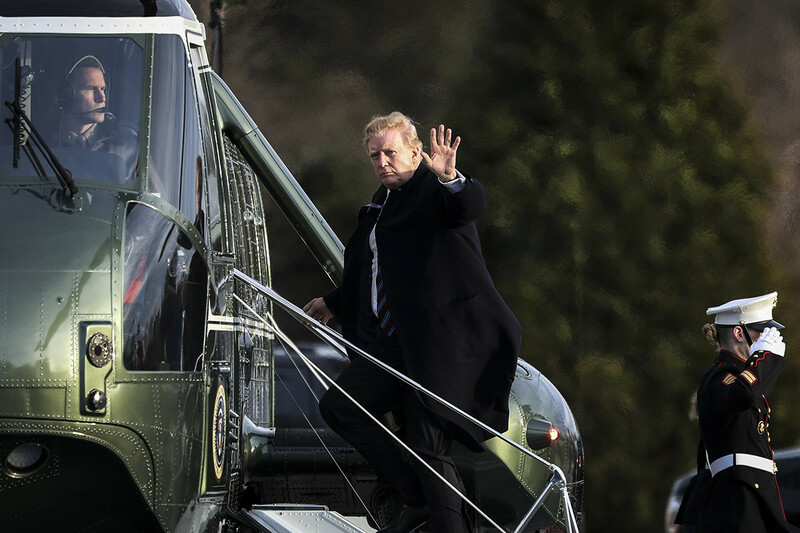 How can POTUS sustain his presidency? It’s getting worse for the Donald Trump administration, if that is possible. That the FBI launched an investigation into questions about whether the president is acting as an “agent” for the Kremlin, which is where the Russian government calls the shots. Why in the world would the FBI look into such a thing if it didn’t have “probable cause” to suspect something was terribly wrong? On top of that we now hear just in the past couple of days that the president seized the records of the translator who was present in the room when Trump met with Russian dictator Vladimir Putin in Helsinki. 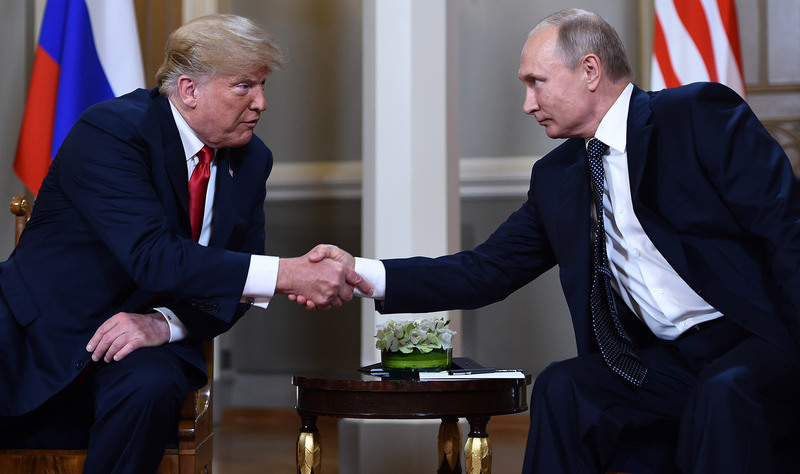 The meeting produced that astonishing kowtowing by the president who disparaged U.S. intelligence findings that Russia attacked our electoral process in 2016. Trump said Putin told him the Russians didn’t do it and Trump believed the Russian spymaster/killer’s denial over the intelligence analysis of our agencies. Trump also has reportedly kept his senior advisers in the dark about what transpired in that one-on-one meeting with Putin. How in the name of national integrity does the administration sustain itself in light of all this? While all this unfolds before us, special counsel Robert Mueller reportedly is finishing up his exhaustive investigation into the president, his possible relationship with Putin and the Russian government. Please, Mr. Special Counsel, finish your work and present it to us. Many millions of Americans want to know what in the world is going on with our president. It’s impossible to believe that Donald Trump has said anything that, by itself, would doom his presidency. He has said so much, so often and with such idiocy that he should have been shown the door long ago. Get a load, though, of what blurted from his pie hole during a 90-minute press availability in the Cabinet Room. He said the Soviet Union invaded Afghanistan in 1979 because “terrorists” were entering the USSR and that the Soviets were justified in responding as they did in invading the neighboring nation. It’s been said already by others, but I’ll reiterate it here: The only other place where that fiction has been told has been in the Kremlin, where the Russian government is headquartered. No one else on Earth has ever said out loud and in public that terrorist incursions were the reason that the USSR invaded Afghanistan and fought the Afghans for a decade. Which begs the question: What in the name of revisionist history is the president doing here? Some have suggested he is speaking the Russian line because he actually believes it, that the Russians have penetrated his skull with propaganda that no one else actually believes. Others suggest that Donald Trump, whose astonishing ignorance takes our breath away, simply doesn’t know what he’s saying, but that he is in love with the sound of his own voice. The Wall Street Journal, with its right-leaning editorial page, has skewered the president with an editorial today. It said, “We cannot recall a more absurd misstatement of history by an American president.” Just think: The WSJ is owned by Rupert Murdoch, a friend and ally of Trump who also owns the president’s favorite cable TV network, Fox News. I do not know what prompted Trump’s utterly ridiculous assertion. The best case is that it is the product of blind ignorance. The worst case is that Russian dictator Vladimir Putin has something on the president, that Trump is now officially frightened to the point of reciting Russian propaganda regarding one of the signature episodes of the Cold War. Whatever the case, for the president of the United States to so egregiously mischaracterize one of the world’s darkest moments is frightening on its face. Donald Trump is unfit to occupy his high and exalted office.